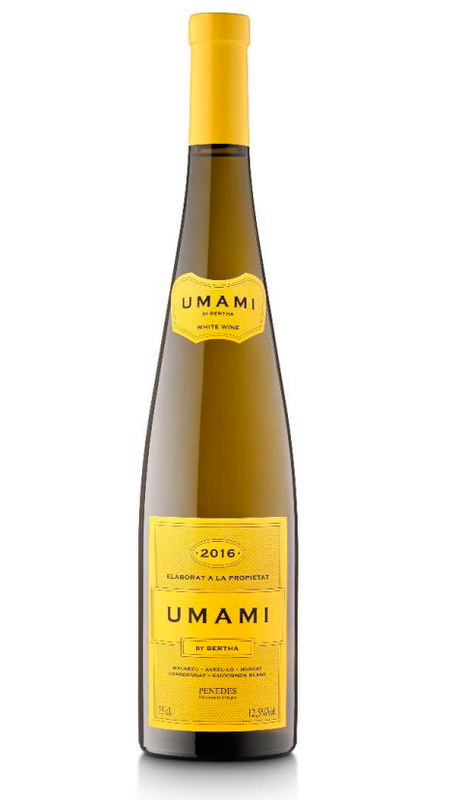 We present the new Umami wine made by Bertha cavas. The 80% of this wine has been elaborated with vineyards Macabeu and Xarel·lo of 65 years of antiquity. The soil is clay and calcareous and gives the wine an exceptional minerality. The vineyard has been treated with much pampering, making a clever pruning to go looking for the highest quality. We have respected the herb layer when it was necessary, it has been ecologically worked and the plant has been given the utmost importance for its development to be sustainable. The collection has been manual, has been collected with boxes of 25 kilos. The grapes have been frozen before pressing to delay the fermentation and improve the extraction of the pulp glued to the skin of the grain. The fermentation has been very slow with different selected yeasts and low temperatures. There has been a maceration of the mothers with wine for 4 months with stainless steel tank.